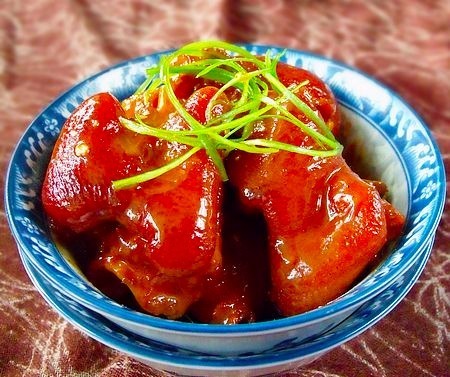 Combine fermented bean curd's fragrance and pig's feet's taste,less oily. Cook pig's feet with water,add minced ginger,chinese spirits,bring to boil. Clean pig's feet with cool water. add water,light soy sauce and salt. bring to boil over high heat,then cook over low heat for 1.5 hours.